Trying to find pubs in Queenborough And Halfway? You’ve come to the right place. We’ve got every pub and bar in the UK listed. Whether you’re looking for a pub or bar in Queenborough And Halfway to play darts, somewhere to play pool or just want to have a look at a menu before you go, we can help. 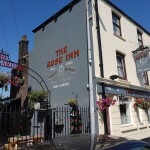 Rose Inn in Queenborough has a beer garden. The pub has an outside area, it has a dart board. Queen Phillippa in Queenborough shows football on TV. The pub has Sky Sports, it has terrestrial TV. Flying Dutchman in Queenborough has a beer garden. The pub has a car park, it has a function room that can be booked. Flying Dutchman has an outside area. The pub has a smoking area, it has free WiFi. Flying Dutchman has a dart board. The pub shows football on TV, it has terrestrial TV. 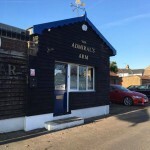 Admiral's Arm in Queenborough serves real ale. Admiral's Arm Micropub in Queenborough has a beer garden. The pub has a car park, it has disabled facilities. Admiral's Arm Micropub gives a warm welcome to dogs and their owners. The pub is a family friendly pub, it serves real ale. Admiral's Arm Micropub has free WiFi. The pub is a member of Cask Marque. Rushenden Tenants Club in Queenborough has a beer garden. The pub has an outside area, it has a dart board. Rushenden Tenants Club has live music events. The pub has a pool table, it holds quiz nights. Rushenden Tenants Club shows football on TV. Sheppey Sports & Social Club in Minster on Sea has a beer garden. The pub has an outside area, it has a dart board. Sheppey Sports & Social Club has DJ's. The pub has karaoke, it has a pool table. Sheppey Sports & Social Club holds quiz nights. The pub shows football on TV. Sheerness East Working Mans Club in Minster on Sea has a beer garden. The pub has a car park, it has disabled facilities. Sheerness East Working Mans Club gives a warm welcome to dogs and their owners. The pub is a family friendly pub, it has a function room that can be booked. Sheerness East Working Mans Club has an outside area. The pub serves real ale, it has a smoking area. Sheerness East Working Mans Club has a dart board. The pub has live music events, it holds Poker Nights. Sheerness East Working Mans Club has a pool table. The pub holds quiz nights, it has a big screen. Sheerness East Working Mans Club shows football on TV. The pub has the Racing Channel, it shows rugby on TV. Sheerness East Working Mans Club has Sky Sports. The pub has terrestrial TV. Sheerness Co-op Sports Club in Sheerness has a beer garden. The pub has a function room that can be booked, it has an outside area. Sheerness Co-op Sports Club has a dart board. The pub has DJ's, it has karaoke. Sheerness Co-op Sports Club has live music events. The pub has a pool table, it holds quiz nights. Sheerness Co-op Sports Club shows football on TV. The pub has terrestrial TV. Gannons Halfway House in Minster on Sea has a beer garden. The pub has an outside area, it has a dart board. Gannons Halfway House has DJ's. The pub has karaoke, it has live music events. Gannons Halfway House has a pool table. The pub holds quiz nights, it has a big screen. Gannons Halfway House shows football on TV. The pub has Sky Sports, it has terrestrial TV. 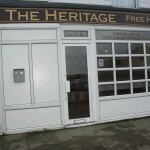 THE HERITAGE in Sheerness serves real ale. Sheerness Holiday Village in Minster on Sea has a beer garden. The pub has a function room that can be booked, it has an outside area. Sheerness Holiday Village has a dart board. The pub has DJ's, it has karaoke. Sheerness Holiday Village has live music events. The pub holds quiz nights, it has a big screen. Sheerness Holiday Village shows football on TV. The pub has Sky Sports, it has terrestrial TV. Queens Head in Sheerness has a beer garden. The pub has an outside area, it has a dart board. Queens Head has DJ's. The pub has karaoke, it has live music events. Queens Head holds Poker Nights. The pub has a pool table, it holds quiz nights. Queens Head has a big screen. The pub shows football on TV, it has Sky Sports. Queens Head has terrestrial TV.